1. You have the desire, but you keep putting it off. If you’ve been thinking about seeing a therapist for a while and haven’t followed through because of timing or hesitation, maybe it’s time to make it happen. Follow through on your desire if you’ve been putting it off. It might be just what you need. 2. You feel unhappy and stuck. Do you often feel as if you’re trudging through the day, rather than being present and focused? You might feel stuck if you’ve been trying to change on your own and you haven’t seen results. 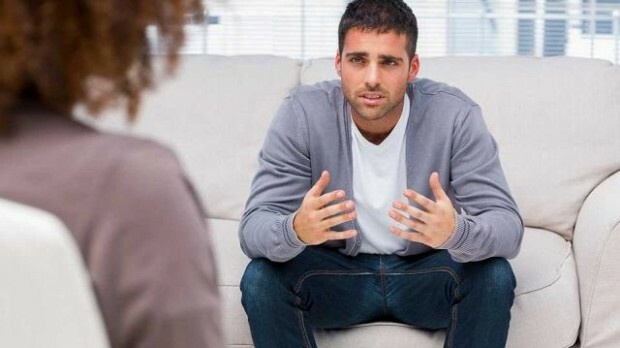 A therapist can help you take an honest and objective look at your life. When you’re coming from your own perspective and things remain the same, letting someone in on what you’re going through can shed a different light on your current situation. 3. You are ready to change. The timing feels right. You really want change in your life, and you’re ready to put in the work and deal with the things you’ve put on the back burner. 4. You’re willing to commit. You’re willing to commit one hour a week to yourself. You’re ready to deal with the fears, patterns, habits and perceptions that make you feel unhappy. You’re also willing to be open to an outside perspective. 5. Someone mentioned seeing a therapist. If others notice your mood and have suggested seeing a therapist, you might be suffering more than you realize. Sometimes people are unaware of their low mood or depression until a friend or family doctor mentions therapy. If someone in your life has noticed that something is off about you, lean into it. We’re often on autopilot when we’re unhappy. If you bring some awareness to how you’re feeling, you can prepare for change. You can also refer to my book, 52 Ways to Beat Depression Naturally for tips to help you cope with depression and invoke change in your life. 6. You’re sick of being sick. You’re sick of feeling uneasy and unhappy. You want to feel good and you’re motivated to truly change. The definition of insanity is doing the same thing over and over and expecting a different result. If you do nothing different, nothing will change. So get off autopilot, step out of your comfort zone and be ready for things to finally shift.